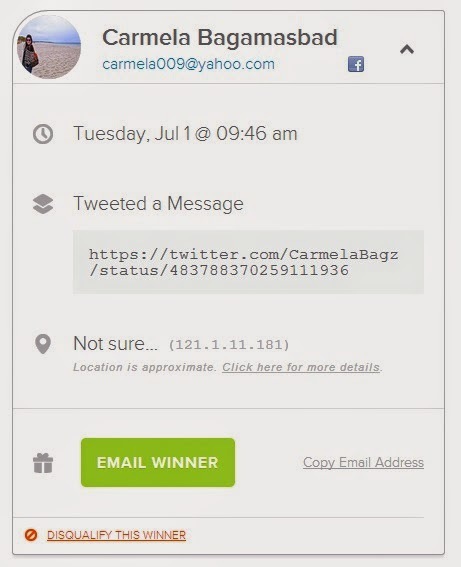 Since CF101 already started yesterday at CrossFit Greenhills and despite emailing and tweeting my winner, I still did not get any reply, I was forced to re-draw a winner. Congratulations! Please refer to this post for more info.